The Chairperson at the outset of the meeting clarified that the present meeting was only to consider the provincial negotiating mandates of the provinces on the Bill. Deliberations by the Committee on the provincial negotiating mandates as well as responses by the Department of Transport thereto would only take place on 12 February 2019. All nine provinces had in their provincial negotiating mandates voted in favour or expressed support for the Bill. The majority of provinces did however attach proposed amendments on the Bill to their provincial negotiating mandates. Given the time constraints that the Committee was facing in processing the Bill members were concerned about the volume of inputs that were expected during provincial hearings on the Bill. Some members also expressed concern on whether proper public input on the Bill had been made from certain areas and whether the Bill when it becomes law could have unintended consequences. Members felt that perhaps a legal opinion on the Bill could shed light on the matter. The Chairperson assured members that they were free to express their views/concerns on the Bill when deliberations took place on 12 February 2019. The Bill was after all now in the hands of Parliament and the Committee. The Committee adopted its programme unamended. The Chairperson clarified that the Committee was only to consider the provincial negotiating mandates and would not engage on deliberation thereof. The Department of Transport, even though present in the meeting, would also not be given the opportunity at present to respond to the negotiating mandates from provinces. Committee deliberations on the provincial negotiating mandates and Department responses thereto would be done on another occasion. Mr E Makue (ANC, Gauteng) was concerned about the Committee spending three weeks on the Bill. What if urgent issues came up that the Committee needed to deal with? He was raising the matter as a member of the Committee as well as the Chairperson of the Select Committee on Trade and International Relations. He was however aware that both the Committees’ Programmes were not cast in stone. The Chairperson responded that if anything urgent should come up then the Committee would deal with it. He was aware that the following day 30 January 2019 the Select Committee on Trade and International Relations would be briefed on the National Gambling Amendment Bill. He continued that during the week of 4 February 2019 Members would be briefing their provinces on the National Land Transport Amendment Bill. Hence the Committee would not be meeting during that week. He pointed out that on 12 February 2019 the Committee would deliberate on the provincial negotiating mandates and the Department would be afforded the opportunity to respond to the mandates as well. Mr Makue stated that both the Committee and the Select Committee on Trade and International Relations had requested a combined programme for both the Committees to be drafted. The Committee support staff confirmed that this was being done. In the absence of a delegate from the Eastern Cape Provincial Legislature, Mr Makue read out the negotiating mandate. The Eastern Cape Provincial Legislature had voted in favour of the Bill. In the absence of a delegate from the Free State Provincial Legislature, Mr W Faber (DA, Northern Cape) read out the negotiating mandate. The Free State Provincial Legislature had voted in favour of the Bill with amendments. Mr Makue stated that the Gauteng Provincial Legislature had voted in favour of the Bill with amendments. He noted that there were eleven proposed amendments in total. In the absence of a delegate from the KwaZulu-Natal Provincial Legislature, Mr O Terblanche (DA, Western Cape) read out the negotiating mandate. The KwaZulu-Natal Provincial Legislature supported the Bill with amendments. 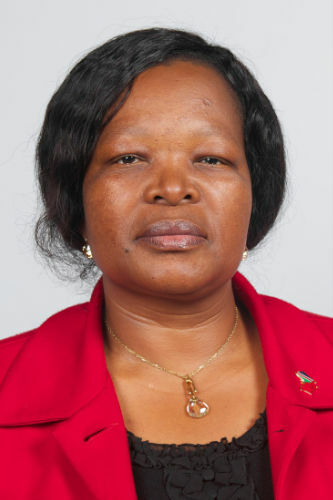 Ms M Dikgale (ANC, Limpopo) said that the Limpopo Provincial Legislature had voted in favour of the Bill with amendments. In the absence of a delegate from the Mpumalanga Provincial Legislature, Ms Dikgale read out the negotiating mandate. The Mpumalanga Provincial Legislature had voted in favour of the Bill without amendments. 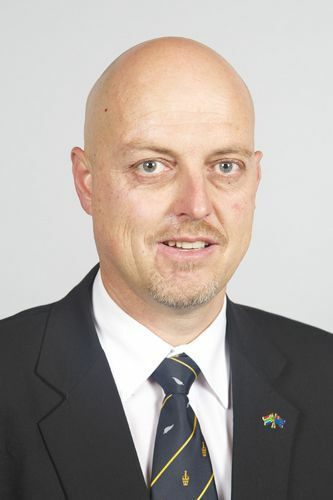 Mr Faber stated that the Northern Cape Provincial Legislature supported the Bill. In the absence of a delegate from the North West Provincial Legislature Mr Makue read out the negotiating mandate. The North West Provincial Legislature had voted in favour of the Bill with amendments. There were four proposed amendments in total. Mr Terblanche said that the Western Cape Provincial Legislature supported the Bill with amendments. The Chairperson pointed out that it was evident that provinces supported the Bill. Many of the provinces had however attached proposed amendments to their negotiating mandates. He reiterated that deliberations on the provincial negotiating mandates as well as the Department’s response to it would take place on 12 February 2019. Mr Hament Patel, Chief Director: Regulation, Department of Transport, pointed out that the Department did not have copies of the negotiating mandates from Gauteng and Western Cape. The Chairperson instructed Committee support staff to provide the necessary negotiating mandates to the Department. He added that the Committee expected the Department to respond to the negotiating mandates of the Western Cape and Gauteng Provinces by Friday 1 February 2019. These were to be added to the responses by the Department to negotiating mandates of the other provinces which was already in the Committee’s possession. Mr Makue was concerned about public hearings to be held on the Bill in the provinces. He expected communities to make inputs on a whole array of issues which they expected to be included in the Bill. What would the Department do in such an instance? It was about deciding either to include needed amendments to the Bill and excluding those that were not related to the Bill. He suggested that the Department negotiate closely with the Chairperson over the matter as it was unlikely that the Committee would be meeting the Department on a regular basis over the next couple of weeks. Mr Terblanche stated that the Bill was covering an area which was important to the people of SA. Having gone through the documentation he was somewhat concerned about whether proper public input was being made from certain areas. He was concerned about the Bill having possible unintended consequences if it became law. He felt that perhaps there was a need to get a proper legal opinion on the Bill and its provisions. He added that the Department in its responses to the provincial negotiating mandates should state whether it was satisfied that the Bill had been dealt with satisfactorily. The Chairperson responded that Members were free to express their views over the Bill when deliberations took place on 12 February 2019. The Bill was no longer in the hands of the Department but was in the hands of parliament and the Committee. Members were free to raise concerns. He explained that if five provinces supported the Bill then the plenary would pass it. Mr Makue stated that the Committee had received written and oral representations on the Bill from concerned parties and public bodies. The South African Local Government Association (SALGA) had also given an input which the Committee needed to consider. Had the Department responded to all the inputs made? The Chairperson confirmed that the Department had responded to inputs made on the Bill. Mr Faber stated that there were two provinces that had made inputs on E-hailing services even though the service was not available in those provinces. The provinces he was referring to were the North West and Northern Cape Provinces. Was it acceptable for the Provinces to have made inputs on E-hailing even though the service was not available in their provinces? The Chairperson responded that there was nothing stopping those provinces from having E-hailing services in the future. Ms Noluthando Mpikashe, Parliamentary Legal Adviser, referring to Mr Terblanche’s comments, said that she had done a legal opinion on the Bill for the National Assembly and could provide it to the Committee as well. She agreed with the Chairperson that the North West and Northern Cape Provinces could comment on E-hailing services as they could have it in the future. Mr Makue wished to bring it to the Committee’s attention that at present Uber drivers were on strike. There was apparently a disagreement between drivers and Uber itself. He added that Taxify was using the Uber Application. Mr Makue proposed that the Committee adopt its Programme. The Committee Programme was adopted unamended. Mr Faber asked whether there was a likelihood of the Committee Programme changing or if it would remain as it was. The Chairperson responded that usually changes to parliamentary programmes did not affect committees.